One of the best special occasion gifts you can give is a breath of spring. 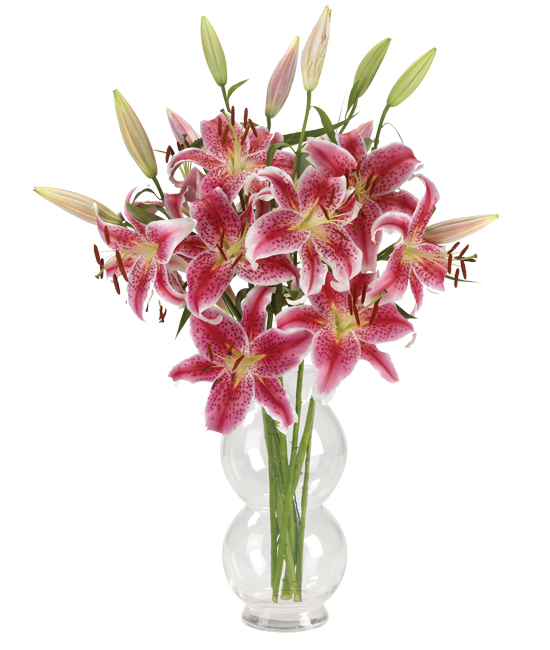 Shipped in bud-and-bloom, our fragrant Stargazer Oriental lilies put on a truly sensational show as they slowly unfurl into glorious pink and white stars. 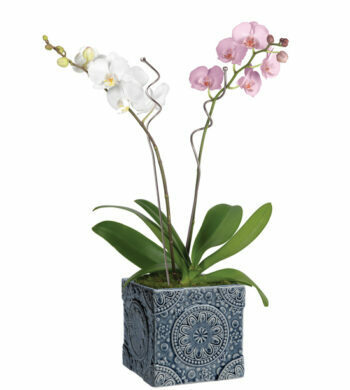 Look closely at the glass pedestal vase and you’ll see it’s dressed up for the occasion with an elegant spiral relief.